through the room. I felt your body tense. Ready. You stepped closer, put your hand on my shoulder. but I knew you’d never back down. to be seated in the pub or the main dining room. who’d sunk that long three-pointer at the buzzer. The book is a collection of narrative and lyrical poems inspired by my career, spanning several decades, as a social worker for the State of New Jersey, when I responded to allegations of child abuse and assisted homeless families to find permanent housing in the community, and also by my experiences as a foster parent. Review by Diane Donovan at. 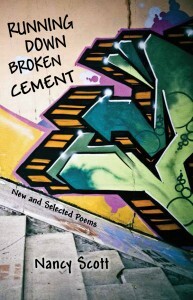 Midwest Book Review, 2014: Running Down Broken Cement. 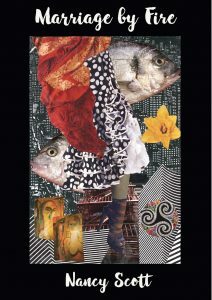 Review by Michael Northen at Wordgathering, a journal of arts and disability, 2015. Autographed copies discounted at $10, plus $2.00 postage, available at nscott29@aol.com. 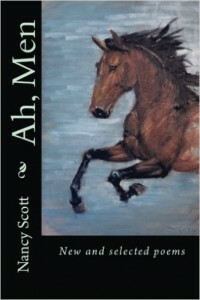 Also from publisher, Main Street Rag which includes sample poems. Kelley Jean White, MD, has said this about the book: Nancy Scott is truly a voice crying in the wilderness, the American wilderness of broken cement and breaking lives. She has earned her voice by years of work among the poorest of our poor, with those struggling on the edges of our broken systems of health, education, and welfare. She has listened carefully and now bears witness to the sufferings and triumphs of…those neighbors we have turned our backs on…. You may need to read this book slowly, a few poems at a time, but you need to read it.